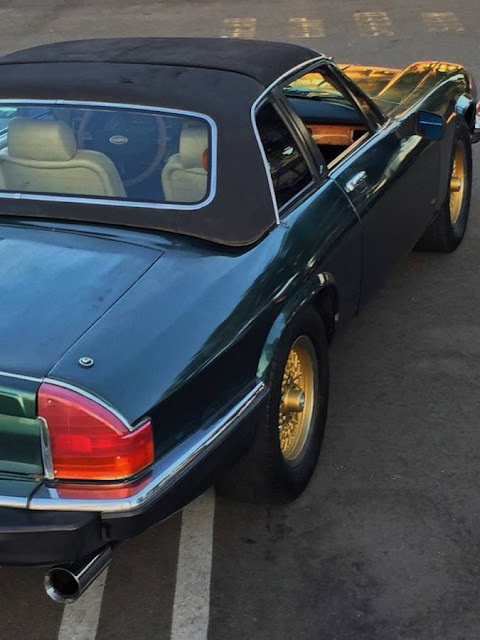 DT's resident pirate and logo guru Kaibeezy always keeps an eye open (the eye that isn't covered by the patch...I think) for good used XJS Jags, but would he drive one that didn't have a big monster V12 under the hood? Maybe...but only if he could smell the salt air in an open top. 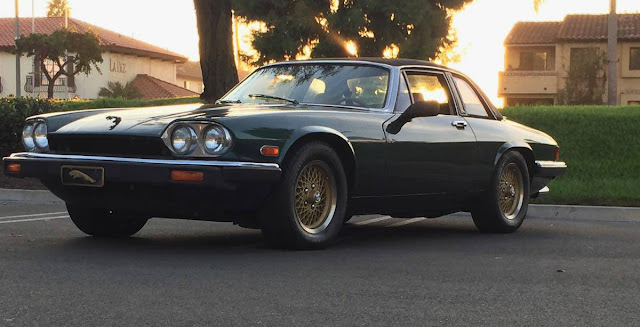 Find this 1976 Jaguar XJS V8 offered for $4,900 in Fountain Valley, CA via craigslist. Introducing "Nigel" the muscle car. British styling with American power! 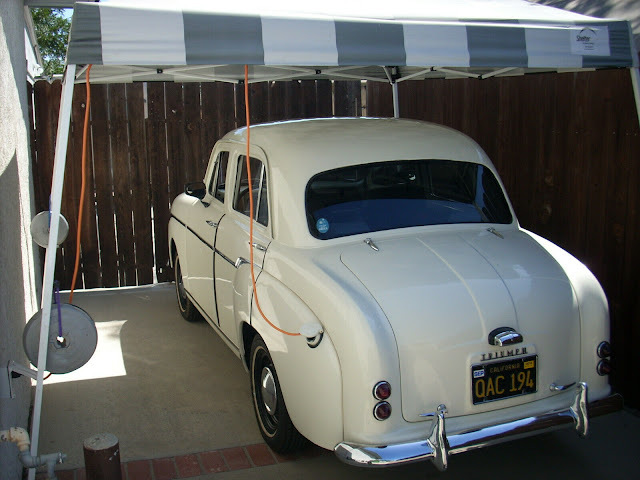 They did it in WWII with the spitfire, and later with the A/C Cobra. That's how granddad did it, that's how we do it, and it's worked out pretty well so far. Tea and Crumpets with a double shot of whiskey! This is a really awesome hot rod. A 1976 Jaguar XJE that has a Chevy 350 v8 in place of the old junky v12. The swap is CARB approved and easily passes smog. Tags are current. This car fires up with the first turn of the key and sounds amazing! It has a dual custom exhaust to go with that nice 350 v8. Look at all that style! I guarantee you won't EVER pull up next to someone with the same car. This is the ultra Rare Spyder model with the removable roof! The interior is super nice and the seats are last word in comfort. Bring me 4900 bucks and drive this baby home! I'm by no means an aviation expert, but me thinks Nigel's owner may be a bit confused re the Supermarine Spitfire.. It was Rolls Royce powered. The US P51 Mustang greatly benefited from the upgrade from the original Allison engine to the Rolls Royce. "Junky v12" ? Oh my. Arrr, cap'n, ye know I don't care about the size of m' sails these days. Between th' winding ways 'n th' glass-eyed admiral on every seastack, speed be no longer a consideration fer this pirate. But I 'ave t' 'ave a stick. Actually, two sticks, one's m' leg.